Find at least 3 corals of the same color that are chained together to save the Fancy Divers from drowning. 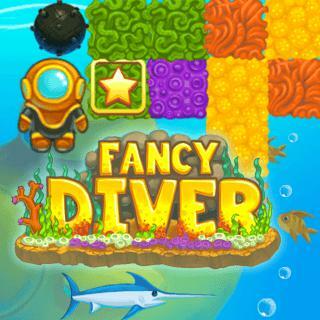 Fancy Diver - Find Fancy Diver in our vast HTML5 games catalogue. Only the best and newest HTML5 games for all audiences. Guaranteed success with Famobi.